Spend your day exploring history and culture by participating in Selcuk Ephesus Tour. This full day excursion will make you fall in love with the history and discover the charm of Ephesus. Visit notable places of interest, receive interesting information about the area and visit picturesque villages and landscapes. 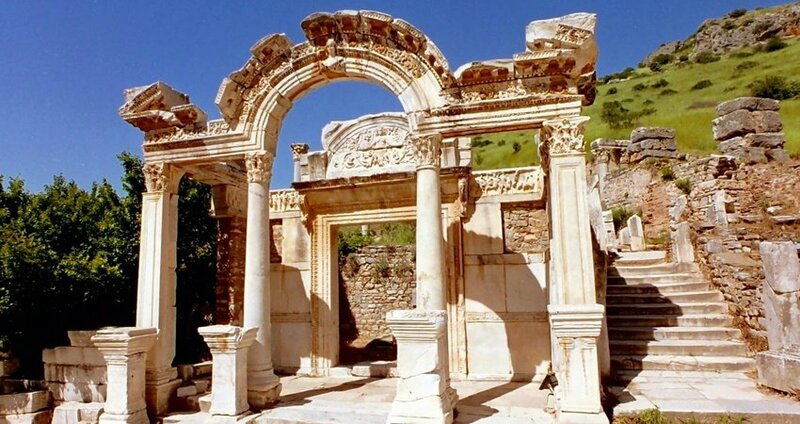 Ephesus Day Trip from Selcuk is definitely a must activity during your holidays. The ancient city of Ephesus will impress you with its variety of monuments. Ephesus is home to one of the seven wonders of antiquity, the Temple of Artemis. In addition, visitors can discover many other important places such as the Hadrian Temple, the Library of Celsius, the Grand Theatre, the Roman Baths, the Agora and the Latrina. Your guide will provide a detailed description for every single structure that can be found in Ephesus. Next Stop of your trip will be made at the House of Virgin Mary. It is located at Selcuk, on the top of the Bulbul Mountains. 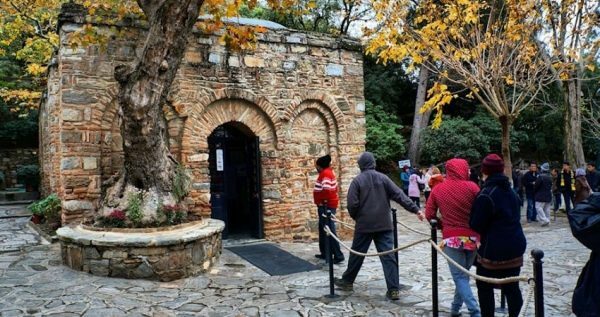 The house can be found in an amazing landscape full of trees and forms a landmark monument for the Christians, as Virgin Mary spent her last days there. Your excursion continues with a lunch break at a local restaurant in the area. You will have the opportunity to enjoy a freshly made and tasteful open buffet with a great variety of choices. Next stop is scheduled to pay a visit at the infamous Temple of Artemis, also known as one of the seven wonders of the ancient world. The temple noww is an area with the remaining ruins of this incredible construction of the Hellenistic period. Your excursion continues with a visit to Isabey Mosque which is one of the best examples of the Seljukian architectural style. It was built between 1374 and 1375 and due to its interior and exterior design the Mosque showcases an imposing atmosphere. 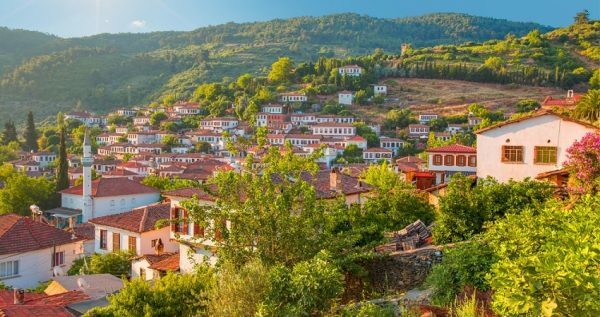 The last stop of your Selcuk Ephesus Tour will be at the Sirince Village which is a great example of Greek and Turkish culture. 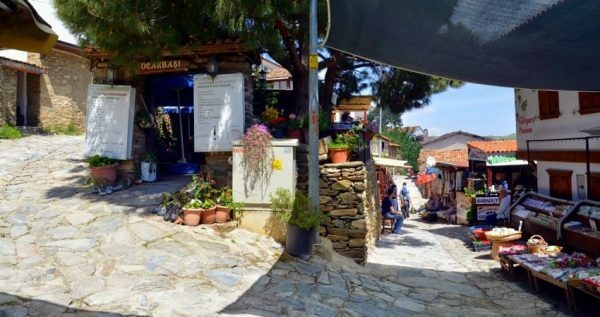 There, you can observe typical Greek houses, an Orthodox church and handcrafts of all types to buy as souvenirs. Once the short break at the village is done, the bus will continue on its way back. Your excursion finishes once you arrive back at your hotel. Ephesus Day Trip will offer you great memories and feelings. Experience history and culture, and make your holidays a long lasting memory. If you plan to visit Pamukkale within your holiday, you may like to check our Pamukkale Tour from Selcuk. Get ready to fall in love with the history and discover the charm of Ephesus. 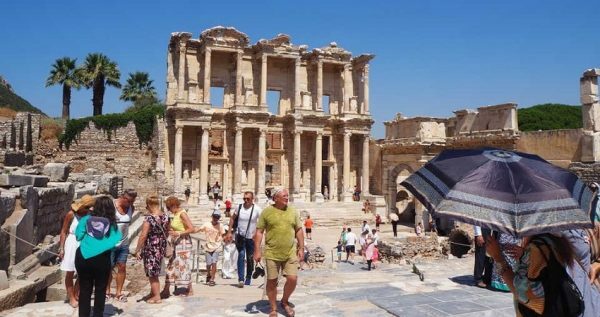 Selcuk Ephesus Tour will take you to some important places of interest and offer you a great opportunity to learn the history and culture of the area. Historical monuments, religious places and beautiful landscapes are what you should expect from this excursion. Throughout the duration of Selcuk Ephesus Tour, you will be accompanied by a professional and fully licenced tour guide. The guide will be in charge to ensure that you are having a pleasurable experience and let you know interesting facts about the places of interest. 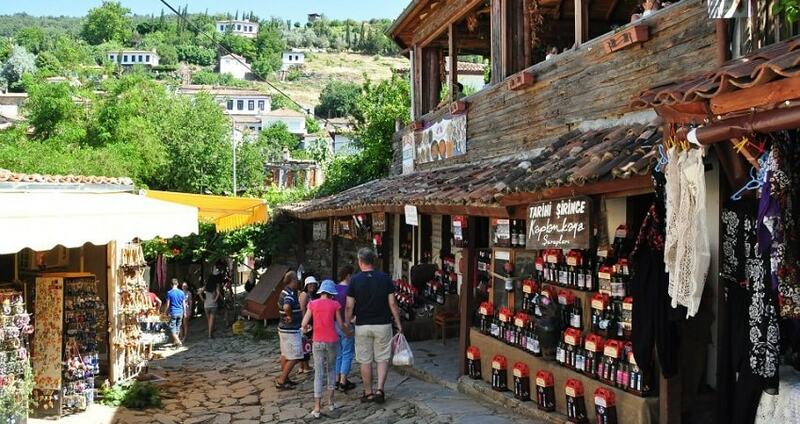 Once you reach the ancient city of Ephesus you will be overwhelmed by the charming atmosphere. Ephesus was forming a trade and commercial centre during ancient times and this is reflected in the variety of monuments that the city has. One of the most notable monuments is the Temple of Artemis. The temple is one of the 7 wonders of the ancient world and today, visitors can observe the temple’s ruins. Ephesus has also the Hadrian Temple, the Library of Celsius, the Grand Theatre, the Roman Baths, the Agora and the Latrina. 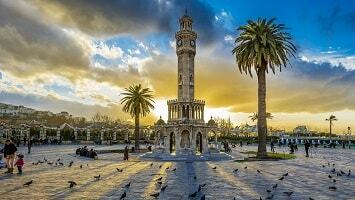 The professional tour guide will unfold the city’s history as you will be walking around these magnificent monuments. Selcuk Ephesus Tour includes also a stop at the House of Virgin Mary. The house is located at Selcuk, on the top of the Bulbul Mountains and is close to the ancient city of Ephesus. Once you arrive there you will be thrilled by the natural beauty that surrounds the monument. The House of Virgin Mary has a great amount of religious and historical importance. 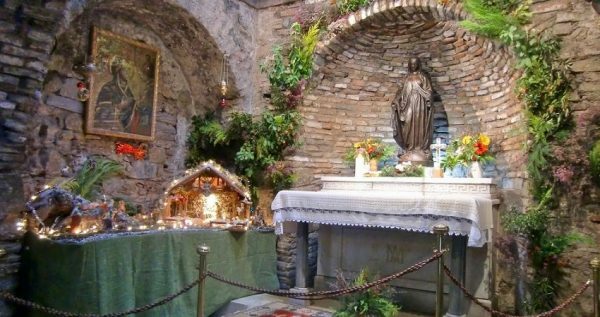 This is because Virgin Mary chose this house to spend her last days and every year there is a big celebration on the 15th of August. Ephesus Day Trip continues with a lunch break at a local restaurant in the area. An open buffet will be available that includes a variety of options. During the lunch break, you can relax and get energized. 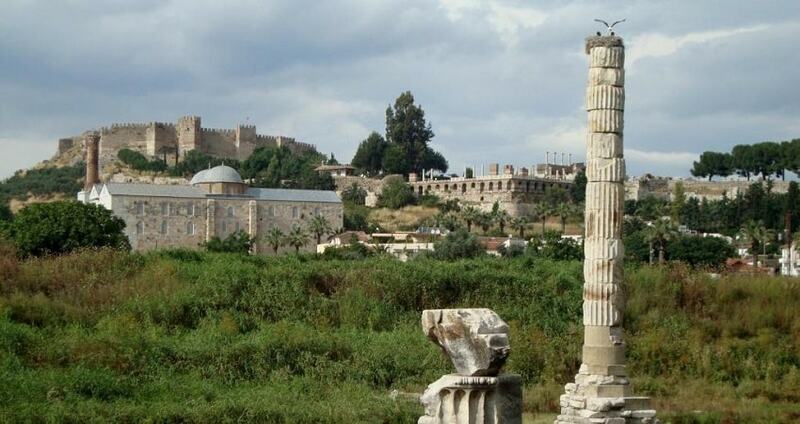 In Ephesus, you will have the chance to observe the ruins of the Temple of Artemis. This important monument is listed among the 7 wonders of the ancient world. It was dedicated to the Goddess Artemis and was forming a huge temple of unique importance for the area. 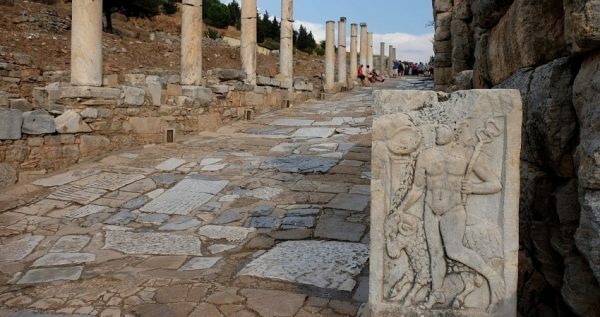 The last stop of Selcuk Ephesus Tour is scheduled to be made at the Sinince Village. This village used to be inhabited by Greek and Turkish people and there you can observe Greek houses, an Orthodox church and small shops selling handcrafts. When this last stop is over, the bus will continue on its way back. During the afternoon, you will arrive back to your hotel full of great memories and emotions.